REDUCED! 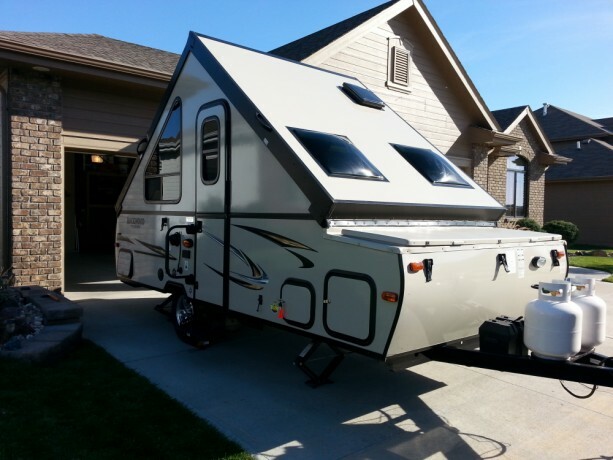 We're selling our lightly used 2014 Rockwood Premier A128S A Frame camper. 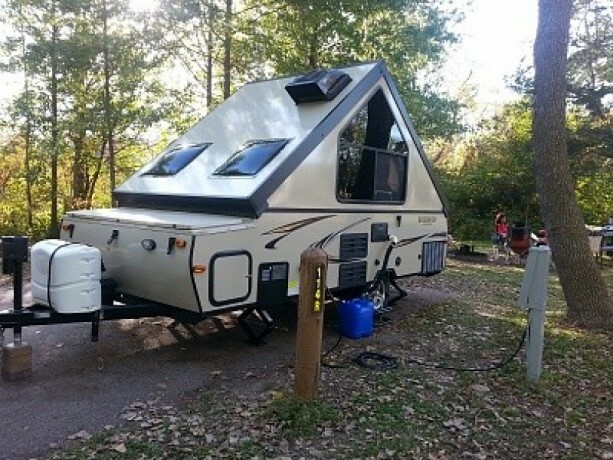 It is in EXCELLENT condition, is clean and ready for you to go camping! It has a large storage box across the front to store gear like tents amp; chairs. It sleep's four as both the dinette and couch convert into beds. 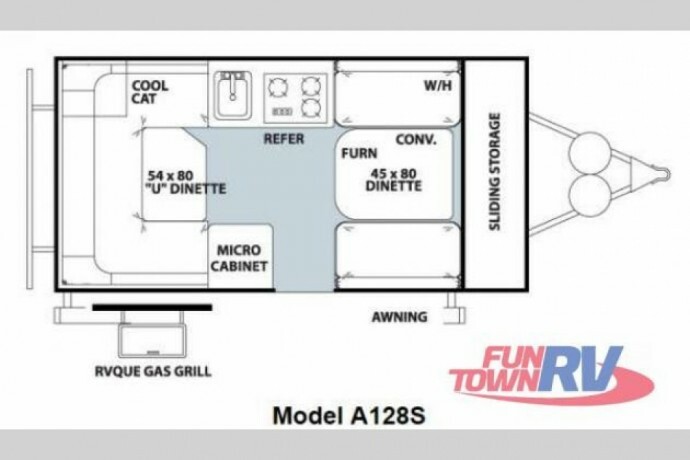 Includes hot water heater, sink, A/C, furnace, microwave, Am/FM CD stereo, three burner stove and fridge. Complete detailed listing is below. We're the original owners and non smokers. 100 garage stored since purchase. Only 2,370 miles on camper and 1,650 of those were on its maiden voyage. Light weight and tows easily. Set up/take down can be completed in one minute. 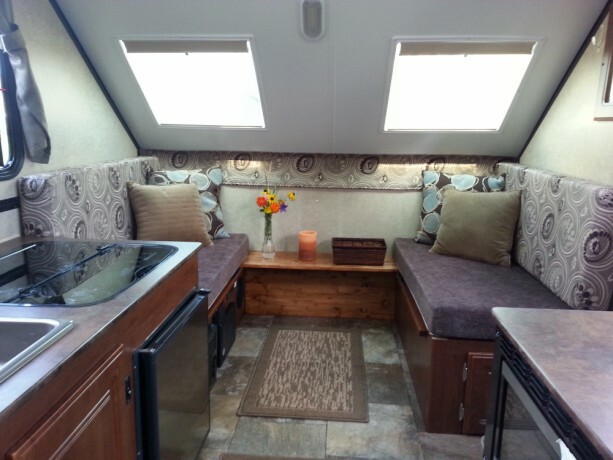 Very spacious and has tons of under seat and outside storage. Can be stored in a standard garage. Original retail price with options was 14,300. 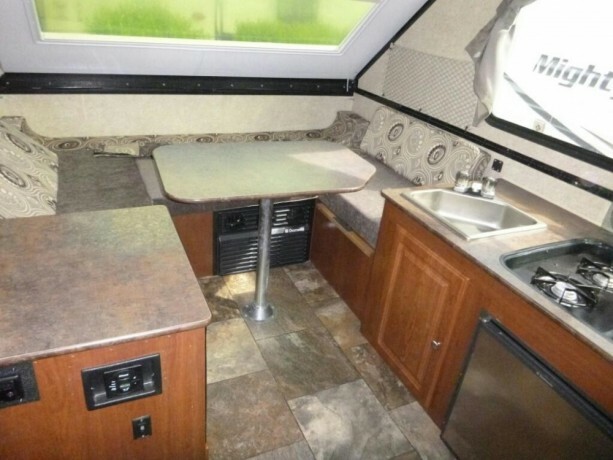 We're reducing the price down and will sell our camper for 8,495.00. We're located in the Omaha, NE area. Serious inquires only please. The camper is currently winterized and stored in our garage. Can show to interested buyers. Please contact me with any questions. Thanks. Hitch dry weight 275 lbs.